If you’re in the market for Scotch whisky, we’ve got you covered this holiday season. For the record, if you are buying a gift for a whisky lover, the best gift is always a bottle of whisky. Unless they accompany a bottle, best to skip the whisky accessories—and please just skip those whisky stones full-stop. Choosing Scotch whiskies for this gift guide is both a blessing and a curse. Having to narrow down the field of what has been a bountiful year of scotch releases is a tough job, but somebody has to do it. The die is now cast. Ultimately, the selection came down to both taste and value. Additionally, I limited this list to a $500 cap. We will have a separate list of spendy bottles later in the month so be sure to look out for those. The Distiller Scotch Whisky Guide selections are organized by taste profile, with a few wild cards and sleeper hits in the mix. And with that, I wish you happy hunting! The Edition series from The Macallan is meant to celebrate the brand’s whisky making heritage. 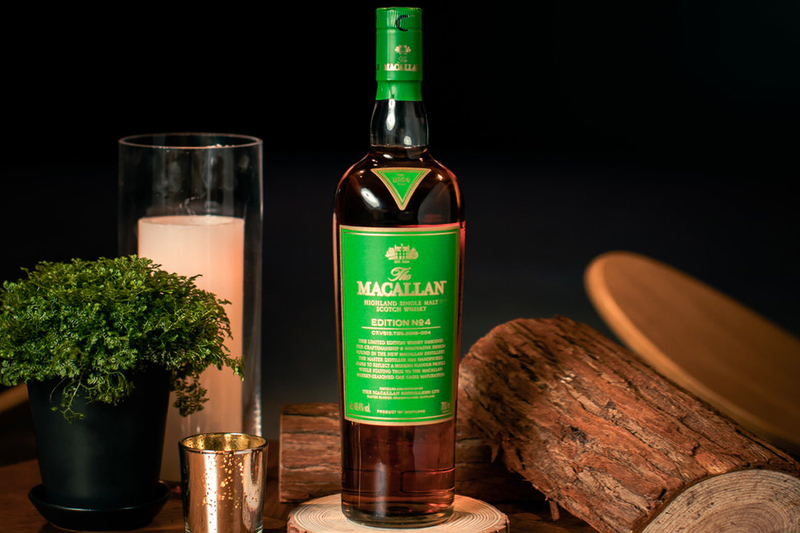 Launched in the summer of 2018, this bottling focuses on Macallan’s commitment to wood management. Seven different types of sherry casks are used in this no-age statement whisky. This one is a true sherry whisky lover’s dream—chock full of dried fruits, nuts and chocolate. SRP $100. Three long years after its discontinuation in 2015 due to supply issues, The GlenDronach 15 Year Old Revival is back. This batch was also blended by master blender Rachel Barrie who joined Brown-Forman in 2017. Classic malty notes appear in this dram along with orange peel, barrel spices and tobacco. SRP $89.99. The Wee Witchie is one of three new core single malts from “The Beast of Dufftown” as Mortlach is known, due to its meaty, sulphury whiskies. Aged in a combination of ex-sherry and ex-bourbon casks, this bottling features a rich whisky with tastes of orchard fruits, leather and spice. SRP ~$65. Port Askaig is a single malt brand from London-based Elixir Distillers, which highlights peated whisky from Islay. This 14-year-old release from early 2018 is from a distillery in the northeast corner of Islay, better known for its unpeated whisky. Distilled in 2004, this Port Askaig is a vatting of 11 different first-fill bourbon casks. This peated whisky offers up a wide range of flavors including ash, caramel, bananas and seaweed. An adventure in a glass! Don’t overlook this sleeper pick. SRP $100. 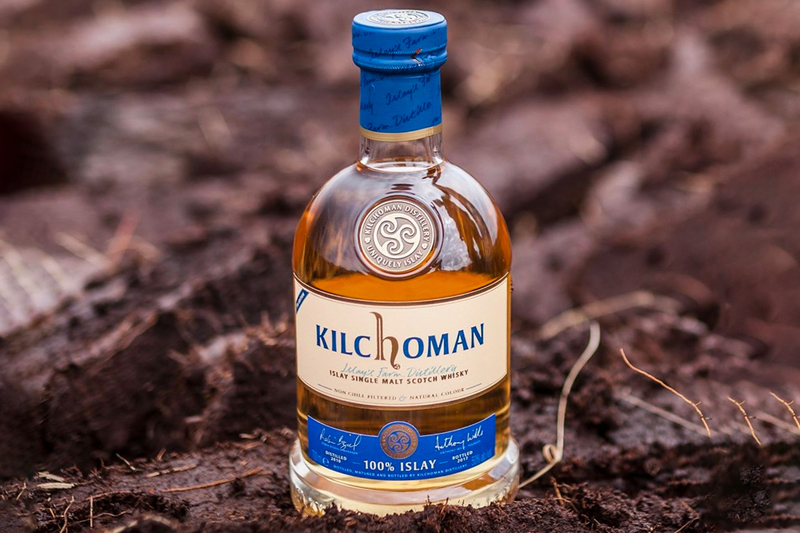 The 100% Islay series from Kilchoman is made using Optic barley harvested on the isle. The peat level here is ~20ppm versus the brand’s standard 50ppm offerings. Unlike previous editions, this 8th edition matured in oloroso sherry butts in addition to ex-bourbon barrels. Although the peat level is dialed down a bit, it is still present along with dried chilies, brine and sweet malt. Another solid offering from the Islay distillery. SRP $110. The barley used—the Concerto variety—is from one field (Irene’s Field), one farm (Octomore Farm), and one vintage (harvested in 2011). The peat level is slightly lower than the other Dialogos releases at 133 ppm. It aged for a total of five years in a variety of casks including Rivesaltes and Syrah wine casks. Bottled at 114 proof, find medicinal peat, honey and fruit notes among many many others. A treasure trove of a whisky. SRP $225. Released in spring 2018, this is a peated expression from the Speyside distillery. It is aged for 21 years in a mix of bourbon, virgin oak, Pedro Ximenez and oloroso sherry casks. The name Temporis is Latin for “time” and according to BenRiach, “Emulates the original character of Speyside malts in the 19th century.” SRP $265. This no age statement lightly-peated release combines both peated and non-peated whiskies. It should be noted that the peat was sourced from Speyside, not Islay. The whiskies first aged side-by-side in ex-bourbon barrels. Once married, the whisky then finished maturing in ex-rum casks, sourced from several countries in South America. A fun experience to be sure and a good value to boot. SRP $49.99. 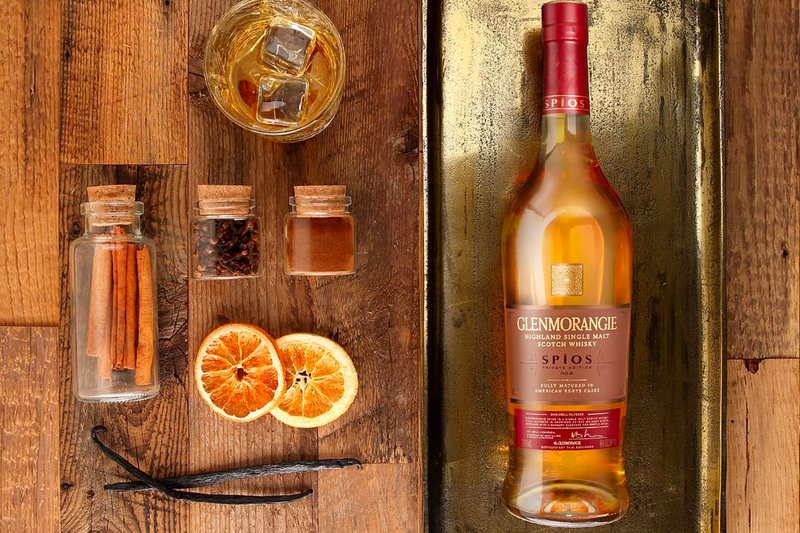 This limited edition is aged entirely in American ex-rye whiskey barrels, a first for Glenmorangie. Dr. Bill Lumsden, director of whisky creation, distilling and whisky stocks for Glenmorangie, sourced the first-fill casks used for his single malt creation. Spìos (pronounced “spee-oss”) is Scots Gaelic for “spice”. The American rye notes aren’t too overpowering here, offering a nice dram of spice, pears and chocolate. SRP $99. This is new to the US, arriving this fall, but has been available for a few years in travel retail. Aultmore is a malt usually reserved for blending, but some single malt bottlings exist, primarily as independent bottlings. This aged for 21 years in refill hogsheads. The Speyside malt offers lemony sweet tea flavors along with honey and gentle wood spices. SRP $250. Last, but not least is Hedonism The Muse—one of my favorite whiskies from 2018. It features grain whiskies from Invergordon, North British, Strathclyde and Port Dundas distilleries, along with a portion of blended grain whisky from an unknown source. Find the “recipe” for the whisky regarding percentages and types of barrels listed on the Compass Box website. Peaches, vanilla and butterscotch are just a few of the flavors you’ll find here. Yet another winner from Compass Box. SRP $275.